In February 2016 I spent a calm and quiet week off together with my wife in Nørlev Strand, Northern Jylland, Denmark. Our holiday home was thus located a rough 25 minute drive away from the ferry port in Hirtshals. 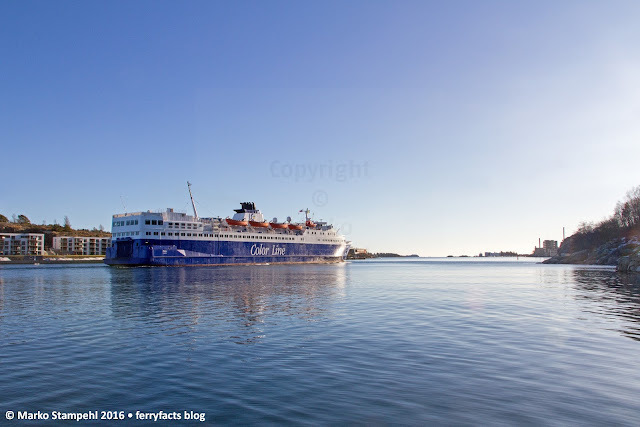 One day I decided to use the opportunity for a day trip to Norway with Color Line. 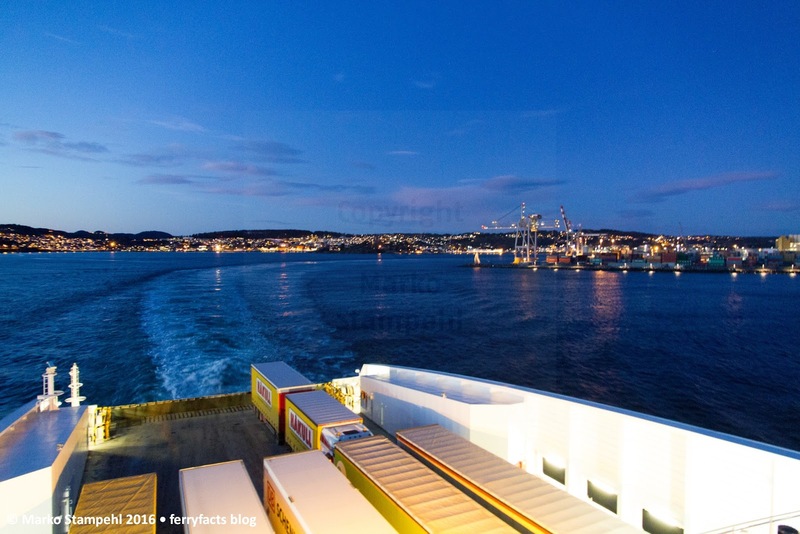 Departing late at night at 22:15 from Hirtshals and arriving in Larvik at 02:00 in the morning (the schedule said), a challenge to get sleep on the ferry for what was to become a long day in Oslo, Horten and Sandefjord in order to capture some ferries in that area. 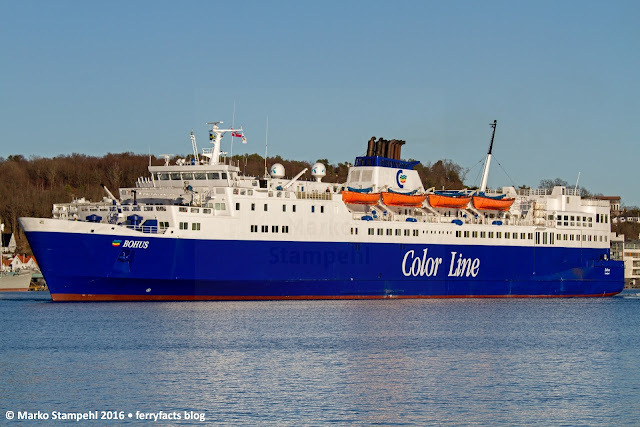 The trip over from Hirtshals to Larvik (and back) took place on Color Lines SUPERSPEED 2, built 2008 by Aker Yards Oy in Rauma, Finland. Here a picture which I have taken in spring 2011. Arriving late due to reduced engine power and delayed departure from Hirtshals meant that I could not reach my desired photo point on Hovedøya. So I started the day with some photography at Aker Brygge, witnessing a wonderful sunrise and waiting for the ferry to take me to Nesodden. 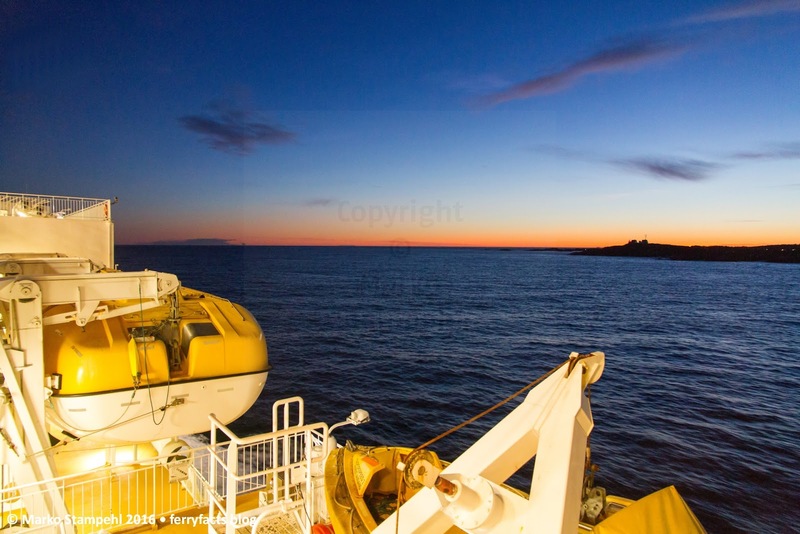 It was a crisp and freezy morning, with a clear sky and sunshine promised for the day. I was the only passenger standing on the outer deck of the ferry KONGEN (ex TIDEKONGEN). In this photo we are meeting with her running mate DRONNINGEN (ex TIDEDRONNINGEN). 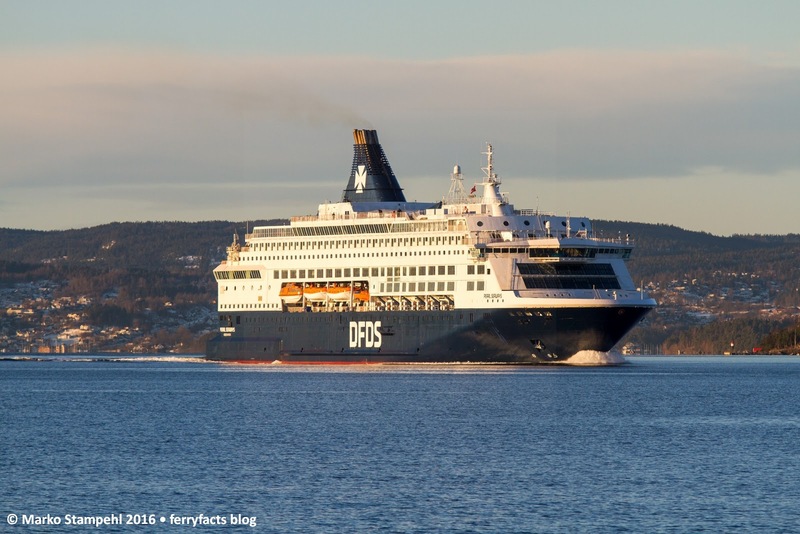 My special focus on this day trip was on the then newly repainted PEARL SEAWAYS of DFDS, which had shortly before received the new company livery introduced on the occasion of DFDS' 150th anniversary in 2016. Finally landed at Nesoddtangen, a place I have already earlier visited for ship photography, PEARL SEAWAYS started to show up further away in the Oslofjord, slowly approaching the port. She was followed by Color Lines COLOR FANTASY, here meeting with KONGEN, which was already coming back to pick me up for the way back to Aker Brygge. Having returned to the city I proceeded to the new development area at Sørengkaia, which formerly was part of the (cargo) port of Oslo and has now been converted into a new living and office quarter. 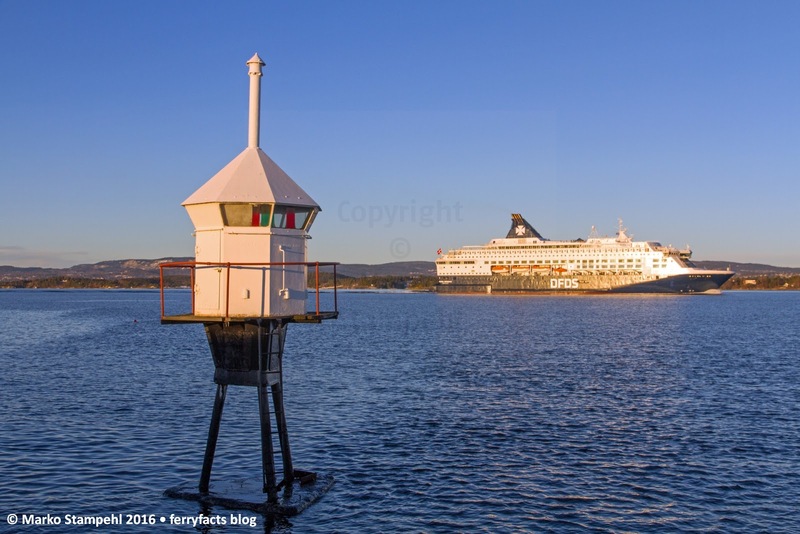 With many areas still under construction it was a challenge to find the way to the photo spot to take the following photo of PEARL SEAWAYS at her berth. With this photo taken it was time to continue to Sandefjord where the "old lady of the Skagerak", the 1971-built BOHUS of Color Line was waiting to get in front of my camera. Having had her hull freshly painted, her appearance in the gleaming sunshine of this February day was almost that of a newbuilding. 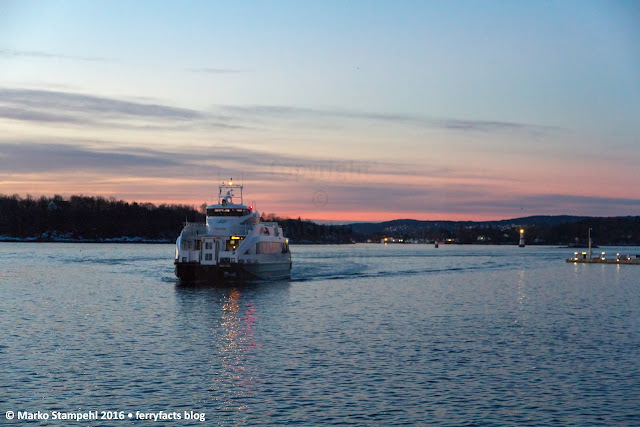 The BOHUS departing Sandefjord on 3 February 2016 for yet another sailing to Strömstad in Sweden. 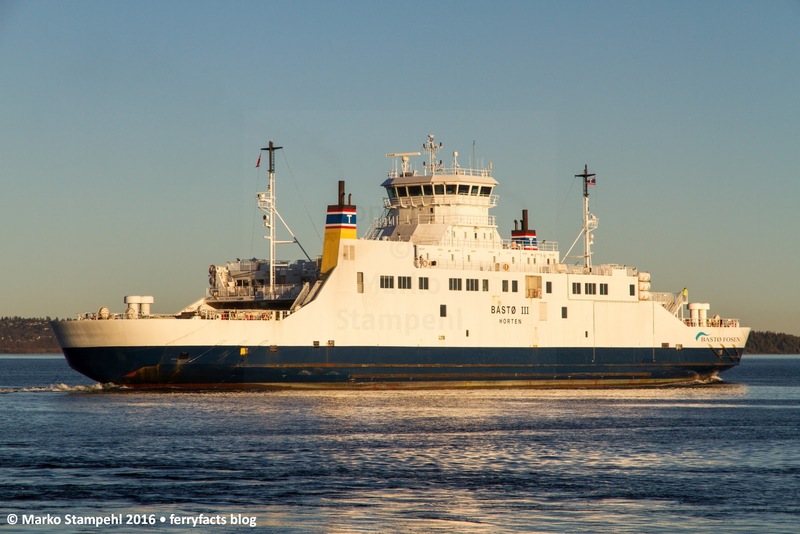 She is about to be replaced by a new hybrid ferry which Color Line plans to build by 2020. 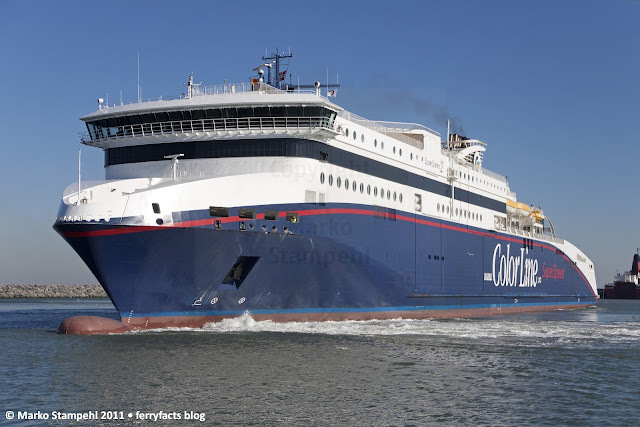 It would then be the largest hybrid ferry in the world. 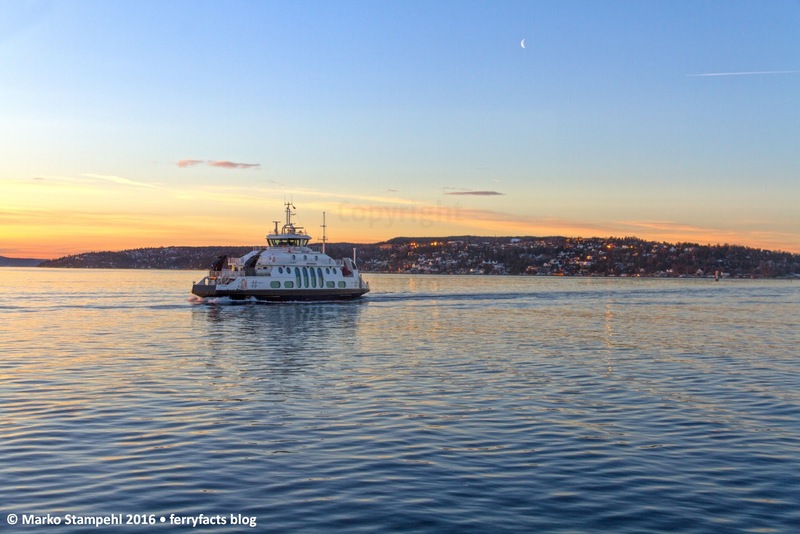 From Sandefjord it is a short 42 km ride back North to Horten, which has a shuttle ferry service across the Oslofjord to Moss, which nowadays the only one here that carries cars, trucks and busses. 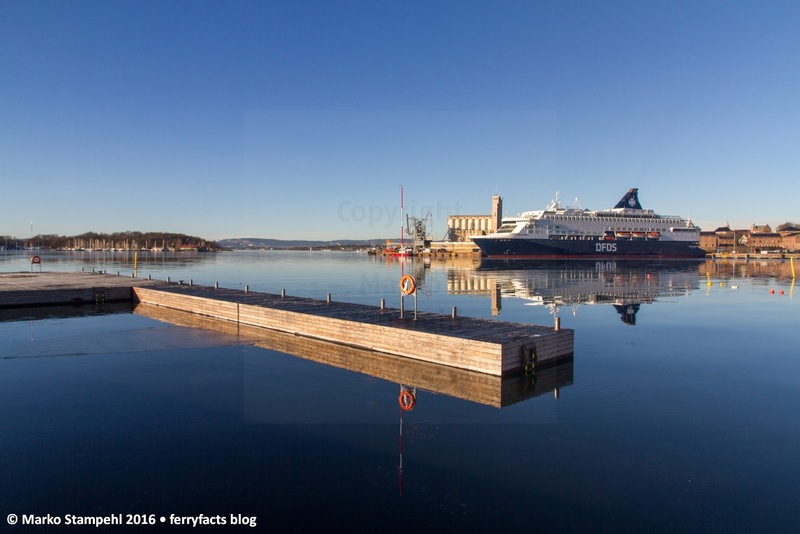 Operated by Torghatten, the "Bastøfærgen" is named after the island Bastø which is located close by Horten in the Fjord and operates a variety of double ended fjord ferries which are so typical for Norway. The BASTØ II is one of the two newbuildings built for the route by Fosen Mekaniske Verksted in Fevåg in 1997. The BASTØ III was built in 2005, five years after the opening of the Oslofjordtunnel in 2000, which originally was expected to reduce the traffic volumes on Horten-Moss. 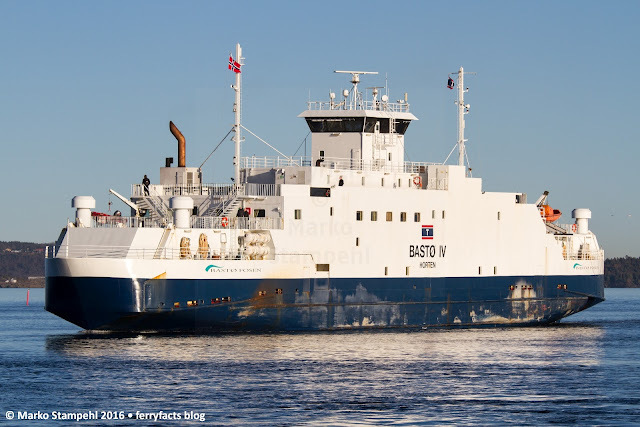 Instead the figures went up and in order to replace constantly hired ferries, Bastø Fosen ordered this newbuilding from Remontowa in Poland. The BASTØ IV has been renamed BASTØ VII just little more than two weeks after this photo was taken to enable a newly built ferry to get the name BASTØ IV. 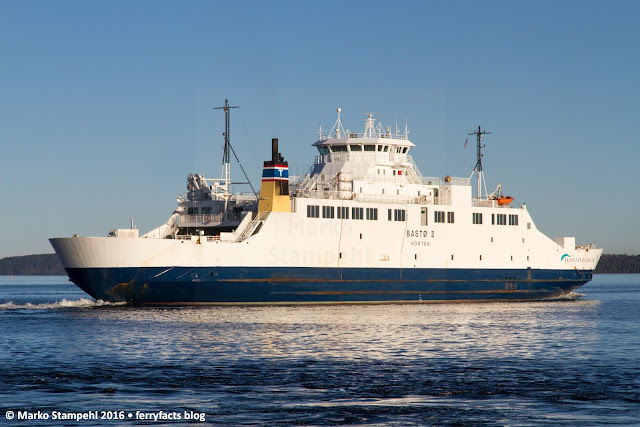 The new ferry entered service in late 2016. 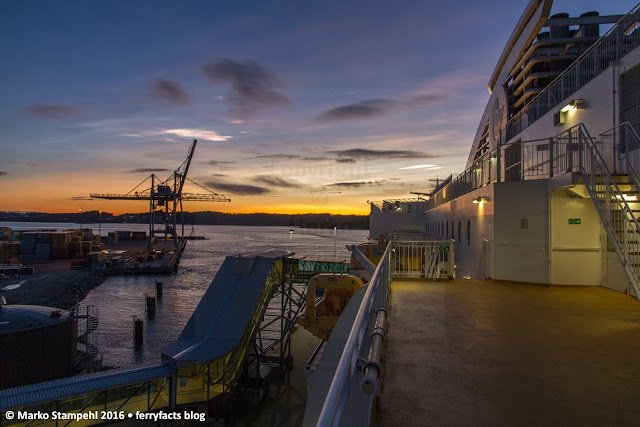 When the sun began to sink it was time to return to the Color Line Terminal in Larvik in order to get back on board the SUPERSPEED 2 (which had done a return-trip to Denmark in between) and await the departure to Hirtshals, while enjoying the wonderful sunset on deck. A last glimpse at Norway with the silhouette of the lighthouse "Stavernsodden fyr" marked the end of a wonderful winter day full of ferry photography in the Oslofjord area. Laivat ja meri, lähinnä risteilylautat, kuuluvat elämääni. Asun Saksan Hampurissa mutta liikun sillöin tällöin muualla, mieluiten pohjoisessa, matkustaessa Suomesta liikennöivillä lautoilla. For me, ferry travel is more than just a way of getting from A to B. Being on board a ferry, heading towards a new or known destination means casting off from everyday life. 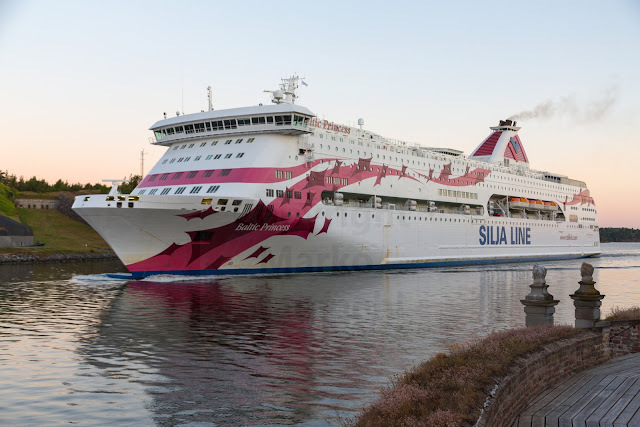 Ferries connect me to my other home country (Finland). And ferries are my hobby. How can "ferries" be a hobby? This is what this blog shall be about. 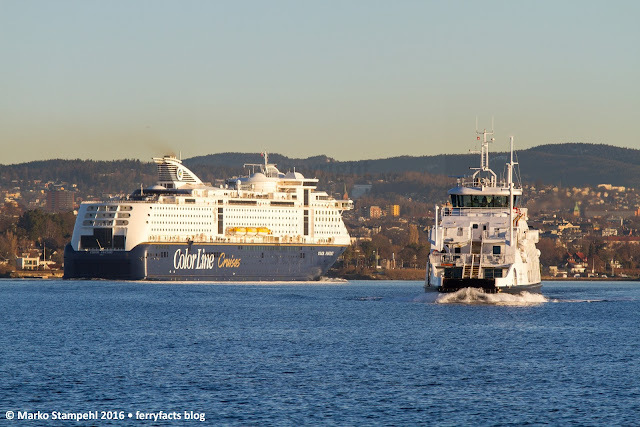 I will be blogging about my ferry travels, about news from the industry, present photos and more... To give it a bit variety, some posts will be about cruise ships... stay tuned! Respect the copyright. If not otherwise stated, all material © by Marko Stampehl. Simple theme. Powered by Blogger.